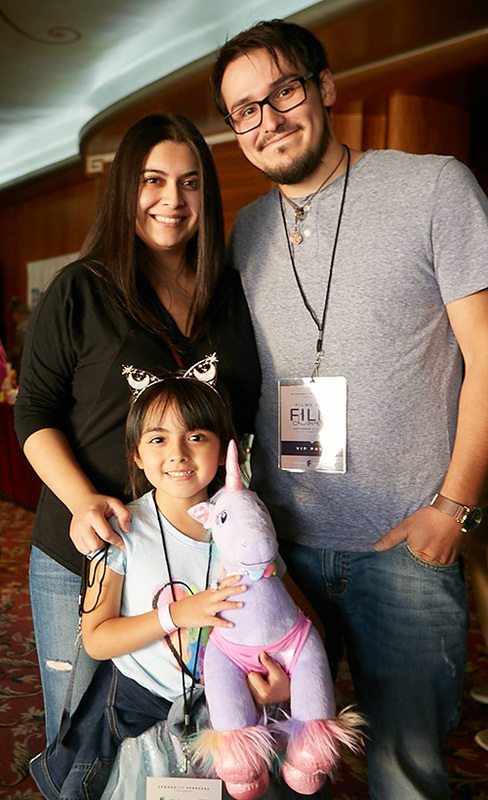 In an effort to support community art making and to celebrate the Central Valley’s filmmaking talent, two award-winning short films by local filmmakers were screened at our 14th Annual Fresno Film Festival, with director Q&As after each program. 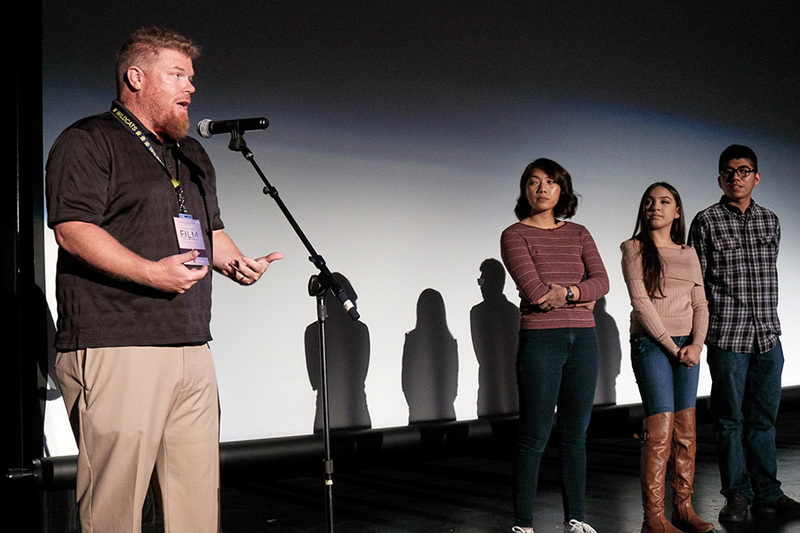 Both shorts were winners of this year’s 60 Hour Film Race, organized by the Community Media Access Collaborative (CMAC), which serves as the region’s volunteer-driven community media production center. We also introduced the winners of our 2018 student filmmaker competition, from Video Production Academy students at Sunnyside High School and from digital video production students at Fresno City College. Students were asked to make short “silence your cell phone” videos, to be used before Filmworks screenings. A few weeks have now passed since the festival. So in case you missed them, here’s one last look at the local filmmakers who were featured. Before our closing night film, we introduced the winners of our 2018 student filmmaker competition, a new community outreach project for Filmworks. 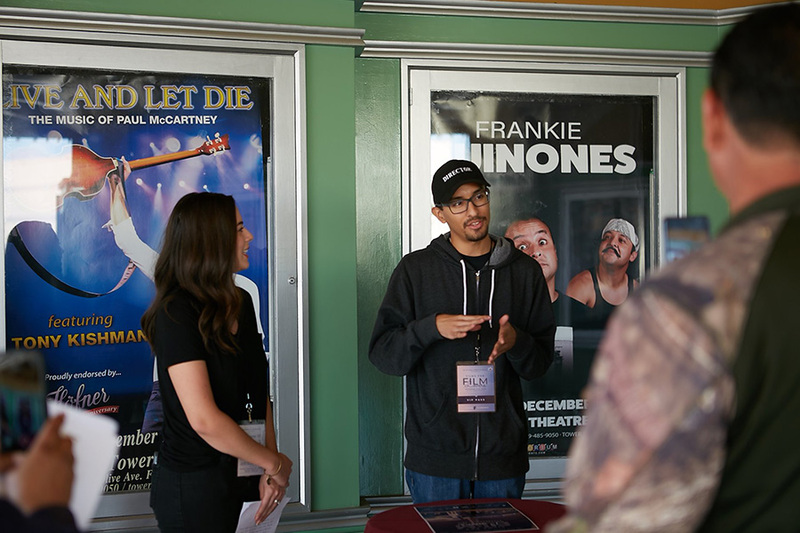 Mentors for the contest were Filmworks board member Carlos E. Rincón and advisory board members Katie McQuone Botello and Bryan Harley. Awards funding was provided by the John Kelly Memorial Fund. Troxell’s short video, starring Generic Action Figure Guy, was shown before each program at the festival. All the “silence your cell phone” videos will be shown in rotation throughout the remainder of the 2018-19 Filmworks season, through May 2019. Merced filmmaker Christopher Velazquez tells an eerie but endearing story of a writer who tries to enjoy a peaceful night alone, while a ghost in his house has other plans. “Risorgimento” won the CMAC film race’s Creative Professional division. Hanford native and College of the Sequoias student Lorenzo Thomas gives audiences a snapshot into an intimate moment where a young man struggles with his multiple personalities. “Jaunty” won the CMAC film race’s Aspiring division.